President-elect Donald Trump once deemed the drug war a 'joke' and called for the legalization of all drugs, during a luncheon held by The Miami Herald in 1990. But as Trump's cabinet takes shape — he's tapped Sen. Jeff Sessions (R-AL) as attorney general and General John Kelly as the secretary of homeland security — it's clear that the president-elect's thinking around the issue has shifted drastically. "We're losing badly the war on drugs," Trump said in 1990, per The Herald. "You have to legalize drugs to win that war." "You have to take the profit away from these drug czars." Trump further explained that tax revenues from a legal drug trade could be used to educate the public about "the dangers of drugs." It's important to note that Trump's comments came decades before he ran for an elected office. Since the beginning of the campaign, Trump has taken a very different stance on drugs. In a February interview with Fox News host Bill O'Reilly, Trump called Colorado's legal marijuana industry a "real problem," though he did say that he's "100%" in favor of medical marijuana. Trump also said in an interview with The Washington Post in October 2015 that "we should leave it up to the states," to decide whether or not marijuana should be legal. Since the election, the president-elect has stacked his new cabinet with staunch anti-marijuana advocates. Trump's attorney general pick, Jeff Sessions, said in an April Senate hearing that "good people don't smoke marijuana," and linked marijuana use to cocaine and heroin. Rep. Tom Price (R-GA), Trump's pick for Secretary of Health and Human Services, has also expressed opposition to legalizing marijuana. 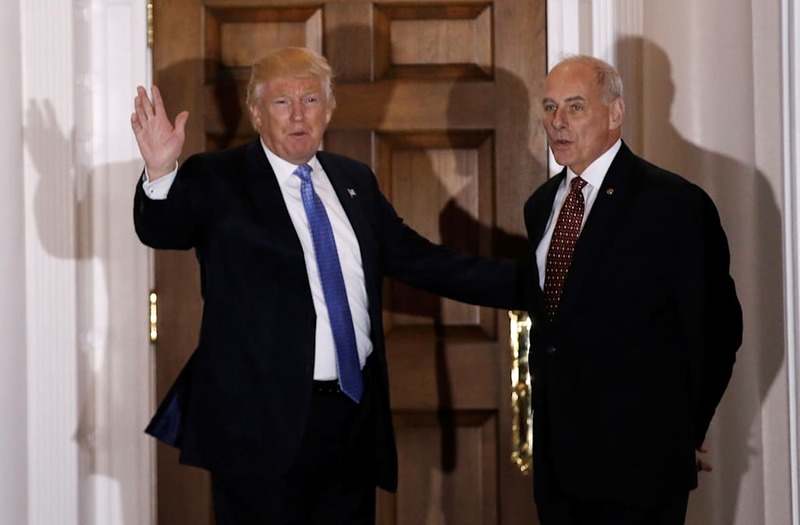 Further, John Kelly — who Trump has tapped as Secretary of Homeland Security — was formerly the head of the U.S. Southern Command, which coordinates military activities in Central and South America, and plays a prominent role in curbing the flow of illicit substances into Mexico and across the US's southern border. Kelly has argued that the solution to the drug war isn't to legalize drugs, but to "destroy" drugs before they arrive in the US. He also claimed that marijuana legalization in US states has sent the wrong message to partner organizations in Latin America. "The word hypocrite comes into the conversation," Kelly told The Huffington Post in 2014. "We seemingly are not caring about drugs anymore." "This is looking really bad," Ethan Nadelmann, executive director of the Drug Policy Alliance, said in a press release about Trump's cabinet picks. "First Sessions for Attorney General, then Price at HHS, and now yet another old-style drug war character for Homeland Security. It looks like Donald Trump is revving up to re-launch the failed drug war." Though Trump's cabinet will be filled with anti-drug crusaders, it remains to be seen what the president-elect's official policy on marijuana, and the drug war as a whole, will be once he takes office. "There's two questions here. One, is how influential is Donald Trump in a Trump administration?" Mark Kleiman, a professor of public policy at New York University told Business Insider. "And two, does he actually believe anything?"